When Londoner Penny decides to visit her best friend Kate in New York for the festive season, the surprise appearance of a previous suitor sends her plans for a relaxing, carefree visit into complete disarray. When she and Mike last saw each other, the timing couldn't have been worse. But when Mike decides to show Penny the very best of what a snowy, festive, New York has to offer - resolving to make it a Christmas to remember - will she be able to resist his charms this time round? And will there be a happy ending to her fairytale New York Christmas? Can any booklover say no to a free Christmas story? Melissa Hill's A Fairytale Christmas is free to download on Amazon right now. Of course I couldn't resist that offer. Not only because it was free to download, also because I love Melissa Hill's books. Every story I read was a winner for me. A Fairytale Christmas was no exception. It is the perfect story for this time of the year. Grab a mug of hot chocolate, sit back and enjoy a fairytale New York Christmas. Let me make this Christmas in New York one to remember. 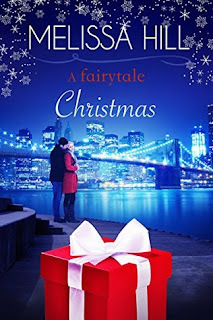 A Fairytale Christmas is a short Christmas themed short story from best selling romance author Melissa Hill. Penny was a workaholic. She had been ever since her fiance's death three years before. It has been a difficult time for her ever since, being part of a world without Tim. Penny didn't want to be alone on Christmas so she desides to visit her best friend Kate in New York City. The pair had been best friends since kindergarten. Kate had been her one constant in her life, a true friend. Penny had come to New York with expectations of a dream weekend away from normal life, so far it was a nightmare. She loved her friend but being to their home made her realize how alone her own experience was. Things starting to turn when Mike, a friend of Kate, joined them for the Christmas celebrations. Penny and Mike had met at Kate's wedding three years before but things didn't go very well between them. Now with a second chance they do things right and Mike decides to show Penny the best sides of festive New York. Will Penny be able to resist his charm this time around? Can we expect a happy ending for Penny and Mike? 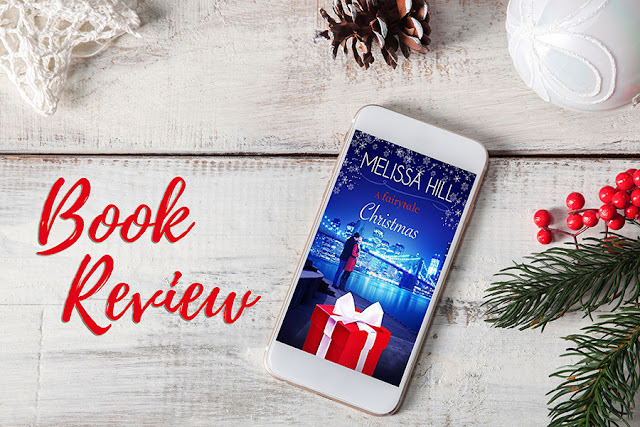 What a sweet Christmas romance story that Melissa Hill brings to the readers. A Fairytale Christmas is a really sweet short story that will leave you smiling and looking forward to the Christmas season. It’s cute and quirky, and as you read it you really just hope that everything will work out for Penny and Mike. Hill’s writing was delightful and exactly the kind of thing you’d want to read to get you in the Christmas Spirit. Sometimes, you just want a cute book that makes you totally happy inside and out. A Fairytale Christmas is exactly that kind of book.